Tarin's twisted leg means he can never join his clan's hunting expeditions. As he watches the men prepare a final trap before the winter snows, his unstable footing spooks their prey. The whole community is in danger of starving as a result. The clan is desperate to survive. Some want to exclude Tarin from their group as punishment. Others believe they must make offerings to the Earth Mother, who is angry with them. Tarin offers to make the treacherous journey to appease Earth Mother. He might not survive but it is his clan's only hope. 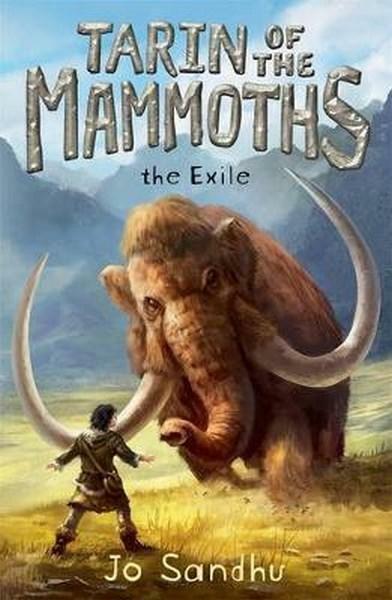 So begins an action-packed prehistoric epic for Middle Graders. Carrying a mountain of self-doubt and a paucity of food, Tarin faces the interference of a fellow clan member, a blizzard and dangerous rapids – and that's just the beginning. Meanwhile, a distant clan turns their anger on twins when a plague decimates their ranks. Twins are bad luck. They should have been killed at birth. Perhaps their bones would make a cure for the few remaining survivors. Kaija and Luuka flee. These three each have personal obstacles they must overcome. Can they work together as friends or will their fears divide them? While full of life-or-death action and authentic details about food, medicines and weapons of the time, Tarin of the Mammoths: the Exile is also a spell-binding tale of adventure, survival and friendship. It's also an extraordinary ode to the value of being different. I devoured this book - it is fabulous. I was truly in the forest with Tarin and I felt the pain as Kaija and her brother mourn their family and later when they are so badly hurt. Very powerful atmospheric writing.